Dave is an award-winning cinematographer/director with a portfolio extending across documentary, TV and music, as well as a range of online and social content. He has shot and directed for many of Australia’s leading production companies (Blackfella Films, Northern Pictures, CJZ), broadcasters (ABC, SBS) and youth media brands (triple j, Viceland). His recent credits include Director/Cinematographer on the flagship SBS factual series Filthy Rich and Homeless, Cinematographer on the new season of ABC’s Employable Me and Creator/Director of the wildly successful ABC series Throwback, which has had more than 8 million views. 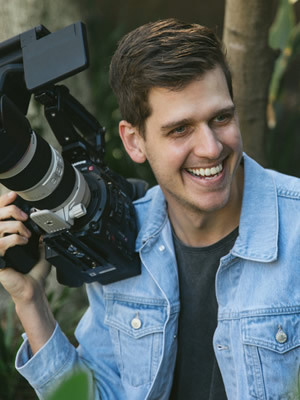 He has been awarded a Young Walkley, an ACS Golden Tripod and has worked with Canon as a Cinema Series Ambassador for their Pro Roadshow events.